Scopa is a card game in which the players take cards by matching, in total value, a card in their hand with cards exposed for play. It requires the players to make quick mental calculations, and to recall the cards that have been played previously in the hand, and to make calculated assessments as to whether to actually take cards or to put a new card in play, instead. Scopa is usually played with either 2 players, or 4 players playing as two teams. Carte Italiane, Italian card deck (mazzo) of 40 cards, or the 52-card deck with 8s, 9s, 10s removed. To collect as many point cards and point combinations of cards as possible. The players cut the cards and the player with the highest card deals first. Then the deal passes counter-clockwise, by one player, with each hand. 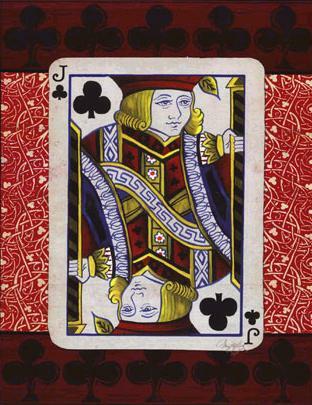 The dealer distributes three cards, face down, to each player, dealing in a counter-clockwise direction, beginning with the player to his right. 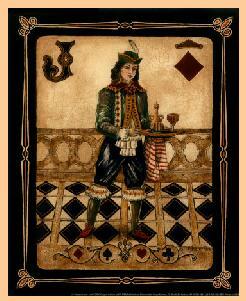 Then he deals four cards, face up, to the center of the table. After all the players have finished playing the cards in their hand, the dealer distributes three more cards to each player. Play continues until there are no more cards to be dealt. Starting with the player to the dealer’s right, and moving counter-clockwise, the players try to collect the cards from the table. They can collect, first, a card with the same numerical value as one in their hand (a 7 takes a 7, for example). They can also collect from the table a combination of cards that equals the value of a card in their hand (3+4 from the table = 7 in their hand), but they cannot do this if a card with the same value as the one in their hand is on the table (if there is a 7 on the table too, they can only take the 7). A player can decide not to take any cards and instead discard a card from his hand, face up, to the table. He must do this when there is no card he can collect. When a player takes all the cards on the table with one card from his hand, this is called a Scopa, and is worth a point when calculating the scores. To indicate a Scopa, the card used to clean the table is kept face up in the pile of cards taken, which are placed before each player. 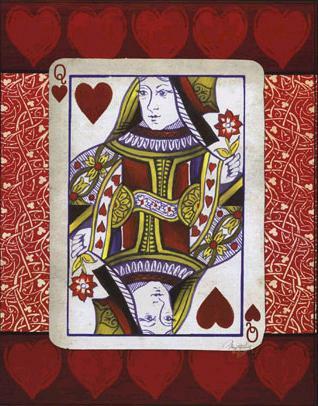 The player makes the last play in a hand (when the whole deck is already dealt out), can collect all the cards remaining on the table, but this does not count as a Scopa. And if a Scopa cleans the table as the final play of the game, this Scopa does not count either. 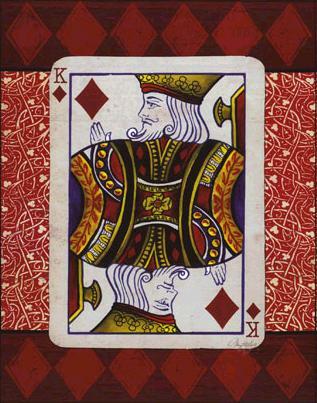 If among the first four cards exposed to begin the game, there are more than 2 Kings, the dealer must reshuffle the cards and deal the whole hand again. Players count their points at the end of each hand. The winner is the first player to earn 11 points, or the highest score, if more than one have more than 11 points. Points are awarded for various cards and card combinations, and for all Scope (when a player collects all the cards face up on the table at once go). 1 point is awarded for: each Scopa made during the hand, collecting the most cards (no points awarded in case of ties), collecting the most Coin (Diamond) cards (Denari, and no points are awarded in case of ties), collecting the 7 of Coins (Diamonds) (il settebello, the 7 of Denari card), for having four cards (one from each suit) that when added together have the highest value when compared to the same of the other players (la primera, and no points are awarded in case of ties, and a team cannot win the primera if they are missing a suit altogether). For counting points to determine the Primera, the card order of value is, in descending order: 7 (worth 21 points), 6 (18), Ace (16), 5 (15), 4 (14), 3 (13), 2 (12), King (10), Queen (10), Jack (10). 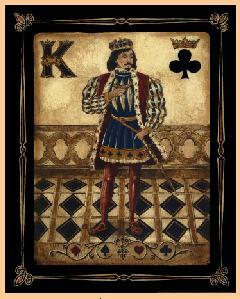 For collecting cards from the table, the King has the highest value (10), and the values decrease by one consecutively, all the way down to the Ace (value 1). Scopone is a popular variation of Scopa. In Scopone, there are four players, playing as two teams. The dealer distributes three cards to each player, then two cards face down to the center of the table, then three more to each player, then two more face down to the center of the table, then three more to each player. Then the four cards in the center of the table are turned up and play begins with the player to the dealer's right, and moves counter-clockwise. All the other rules are the same, and the points are added up per team. 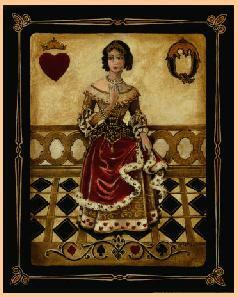 Site with Scopa rules in English with many variations: Rules of Card Games. To print this page, click on your Browser's Print Icon, or use a Pull-down Menu to access the Print option. Here are direct links to Amazon.com for Italian playing cards (there are images at Amazon of all the products) and two old Italian Tarot card decks, for those interested in history. Alida is an on-line store based in The Republic of San Marino. 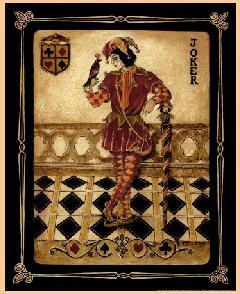 They ship Italian playing cards (Tarot, Regional, Historical) all over the world. The cards are reasonably priced, and shipping is fast (airmail) and very reasonably priced! They also sell special historical cards which I think are too beautiful to play with and should all be framed! I've purchased cards from them without any problems whatsoever, and an very happy with the GORGEOUS cards!